A tough, clear plastic mug, with large, open handle to grip round or under without making a fist. 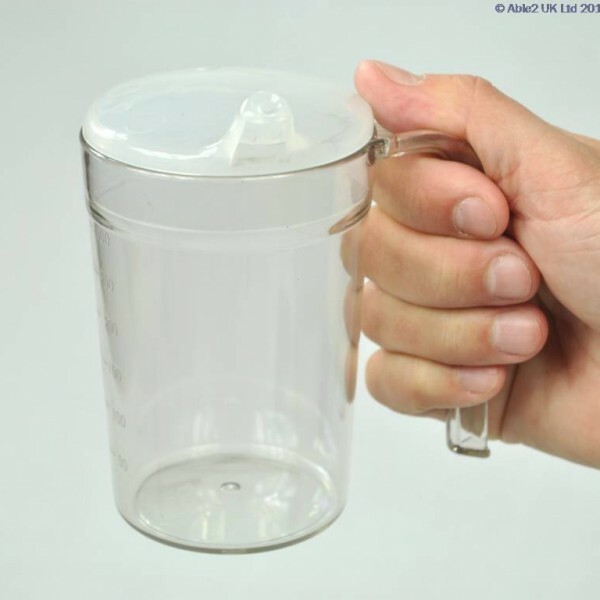 This mug is supplied with two lids, one for anti-spill and one with a drinking spout. It is of a simple design, stackable and easy to clean. The mug is dishwasher safe however the lids are not, but can be used in the microwave. Capacity 300ml.